One of my favorite things about the cooler weather is hot drinks like this delicious and super easy Pumpkin Spice Latte Recipe. 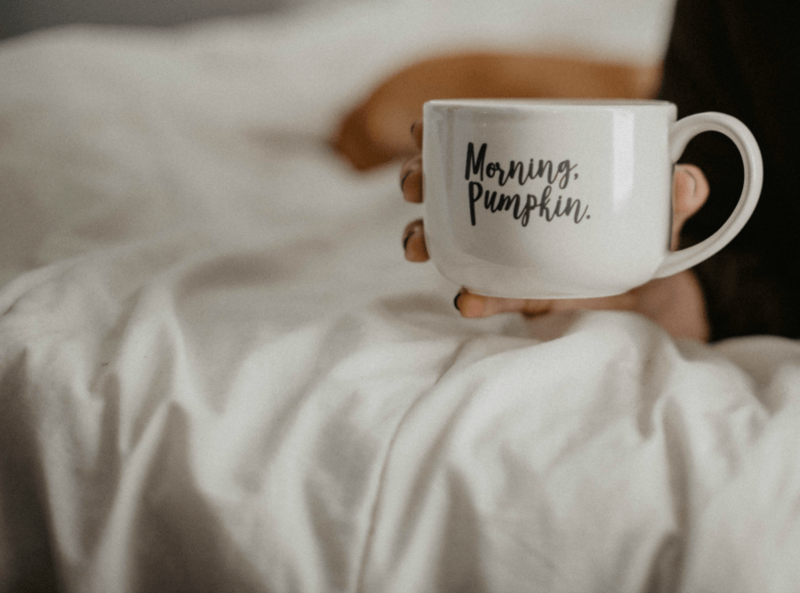 In fact I absolutely love this easy pumpkin spice latte recipe because it means I can crawl back under the blankets a little more quickly, which is the perfect way to enjoy a hot cup of your favorite pumpkin flavored spiced latte. Grab your own Morning Pumpkin Mug from Amazon here. Making this super easy Pumpkin Spice Latte at home means that I can have a lot more control over the ingredients. Besides making them at home always saves me more than if I stopped at my local coffee shop. 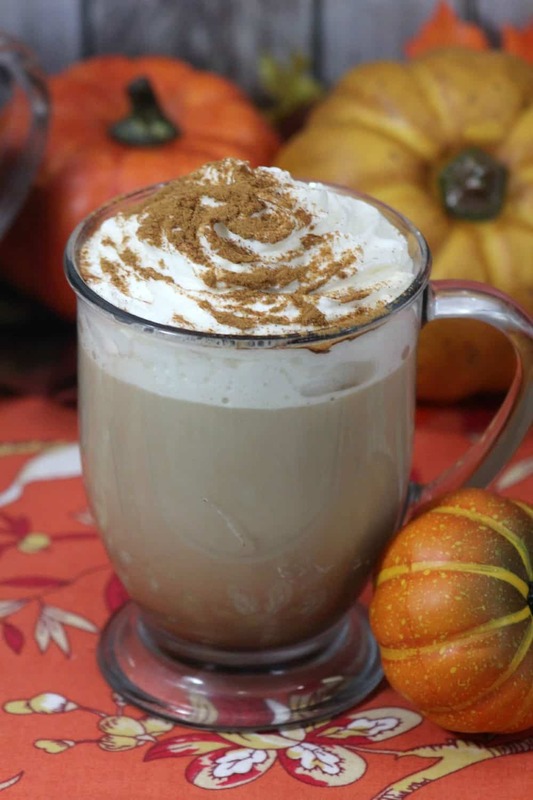 Try this easy Pumpkin Spice Latte recipe below the next time you get a pumpkin spice craving. Add milk, pumpkin and sugar to a small pot and cook on medium heat until hot, do not boil. Remove from heat and add the vanilla extract , all spice and coffee. Remove from heat and add the vanilla extract, all spice and coffee. 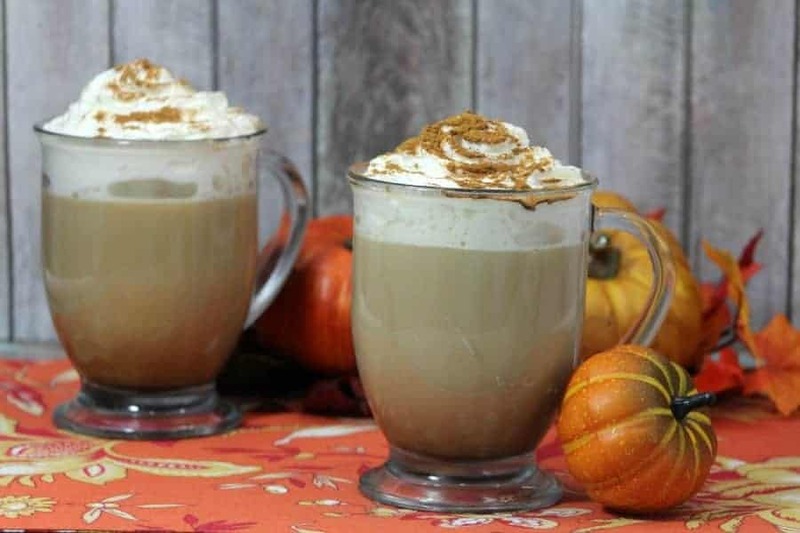 These pumpkin spice latte drinks are so good all by themselves or with a baked treat. 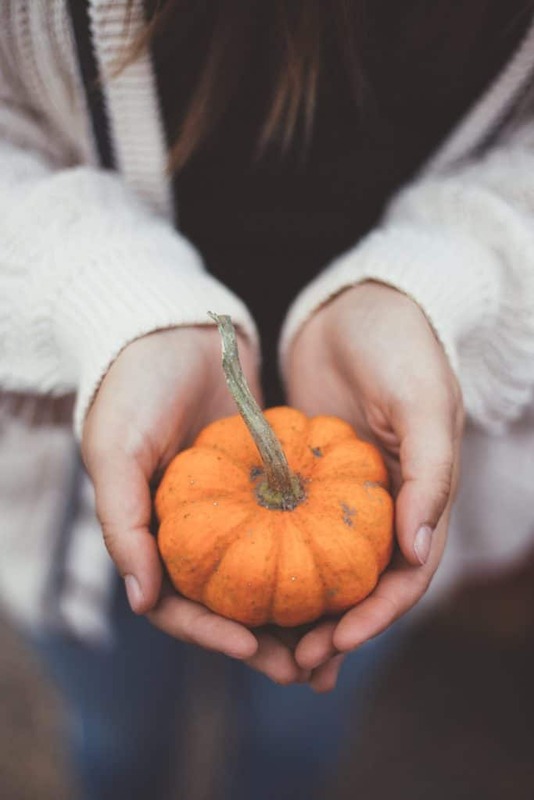 More pumpkin recipes you will love!